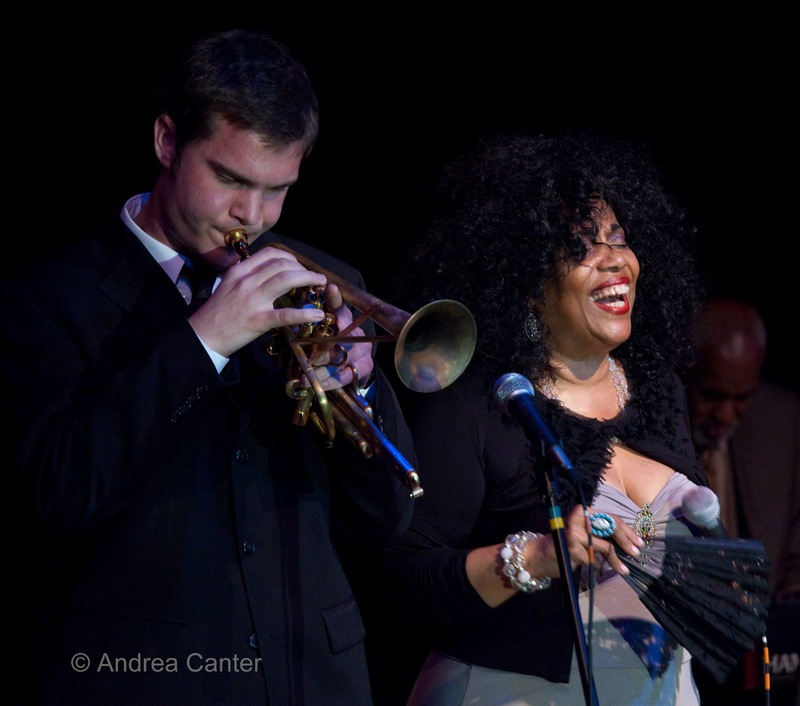 When I first met Jake Baldwin, he was a sixteen-year-old trumpet prodigy at Minnetonka High School, playing in an early edition of the Dakota Combo under the leadership of another trumpeter, Kelly Rossum. 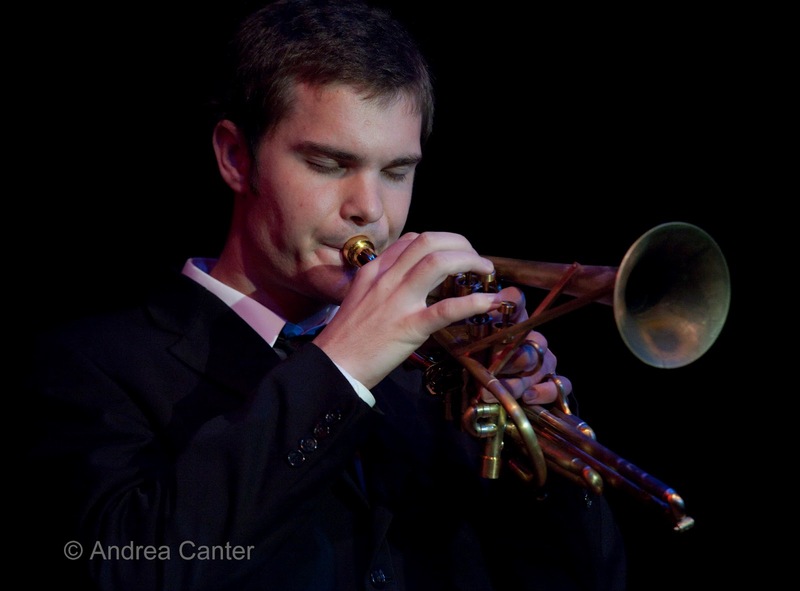 Jake played with the Combo for two years before graduating and moving on to studies at the New England Conservatory of Music. About to begin his final year at NEC, Jake has continued along his early trajectory, excelling at NEC, leading an exciting ensemble on the Dakota Jazz Club stage at Late Night gigs during school breaks, performing in the finals of the International Trumpet Guild Solo Competition here in Minneapolis in 2011, and, last weekend, appearing as student guest artist at the monthly PipJazz Sunday concert at Landmark Center in St. Paul. And he’s back at the Dakota Saturday night with former Combo cohorts Joe Strachan (piano) and Cory Grindberg (bass), along with another trumpet whiz, Noah Ophoven-Baldwin, and rising star drummer Miguel Hurtado. But that’s no ordinary trumpet he’s blowing these days. It’s an original design with two extra valves, one for quarter tones and one that extends the trumpet’s range downward. It’s Jake’s own design. He built the trumpet. Although his family moved away from the Twin Cities shortly after Jake enrolled at NEC, he still views this area as “home” and sought a summer job here. 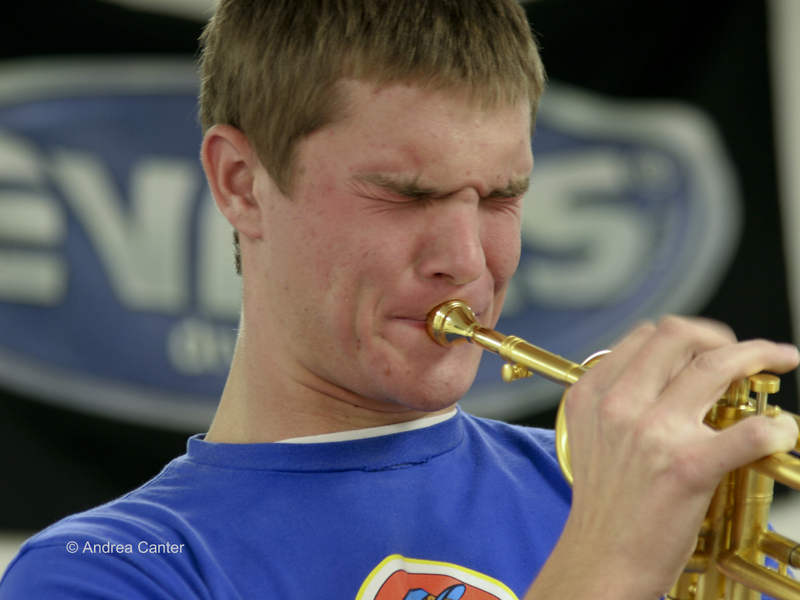 What’s a perfect job for a young trumpeter? Building trumpets in a trumpet factory, of course. Sweat equity and metal shavings aside, Jake now has credentials that few performers can match – he built his instrument. He understands every inch of that brass tubing. He not only creates his sound with his embouchure, fingers and lung power – he took total charge of how that air passes through the instrument. It’s not just Jake. It’s the horn that Jake built. And he owns every note. All photos by Andrea Canter. 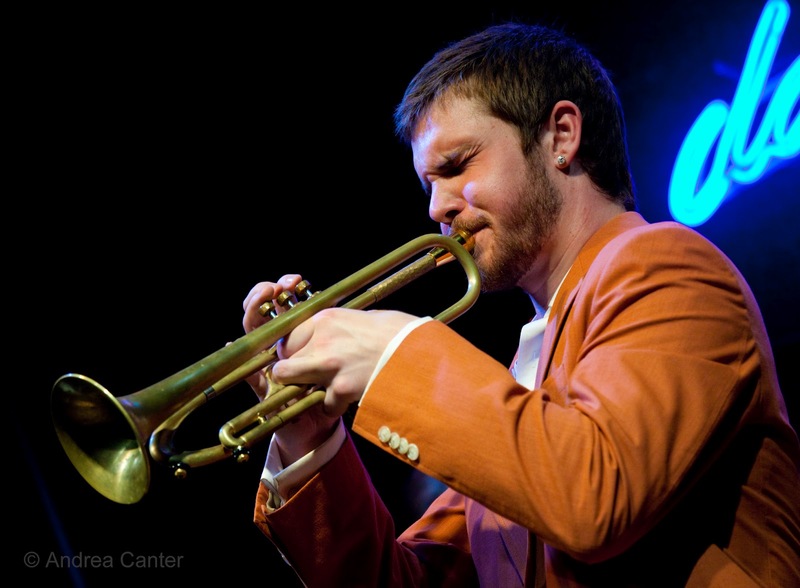 The Jake Baldwin Quintet plays Late Night at the Dakota in downtown Minneapolis on August 18th, 11:30 pm.